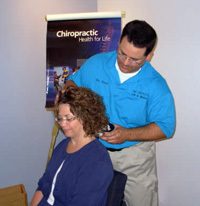 On a regular office visit you will come into the office and receive an adjustment. You will also be required to pay any co-pays before the adjustment. It is best to pay all co-pays or payment, for the week, at the beginning of the week or your first visit of the week. Most regular visits range from 5 to 15 minutes. Click here to see Gamet Chiropractic office hours.